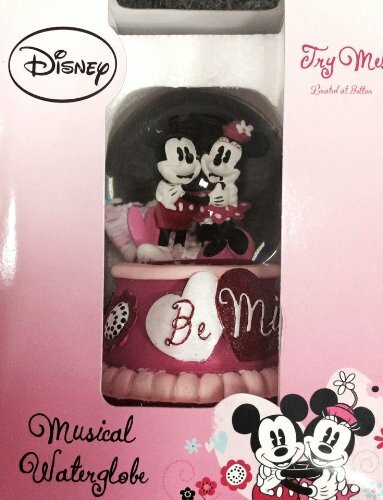 Have a romantic Disney Valentine's Day with these unique merchandise items and supplies. The sweet love of Mickey and Minnie Mouse. 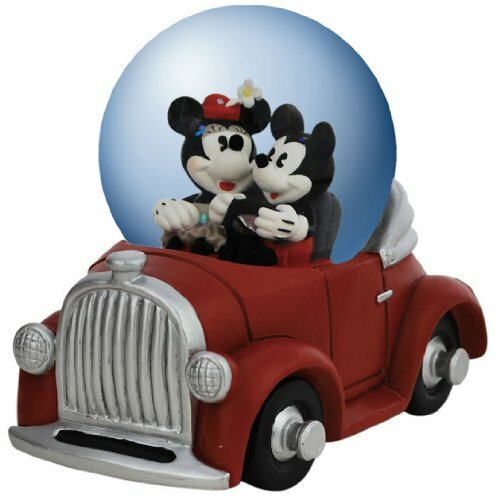 Mickey and Minnie are one of the most known and most adored couples. They are simple and sweet and their love story is one we all hope to achieve in our lives. In a time when so many marriages fail, they have set the standard for what it takes to maintain a long lasting relationship. That is why they truly symbolize what Valentine's Day is all about. 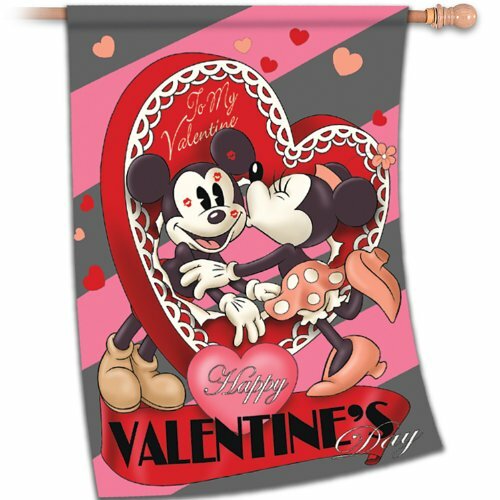 You will a find a great assortment of Mickey and Minnie Valentine Gifts on this page including mugs, postage stamps, books, figures, trading pins, Valentine's Day cards, plush dolls, personalized Valentines and art prints. These gifts feature many romantic designs and themes including Sweet Romance, Love Struck, Sitting on a Park Bench, Puppy Love, L'amour Fou, and more. If you are a fan of this sweet couple or know someone who is, these adorable items would make a wonderful addition to the Valentine's Day holiday. Hosting a Mickey and Minnie Wedding Theme? Please visit my Mickey and Minnie Wedding Supplies page for wedding invitations, thank you cards, reception cards, party favors, decorations, garter belt sets, albums, guestbooks, frames, glasses, cake knives and more. 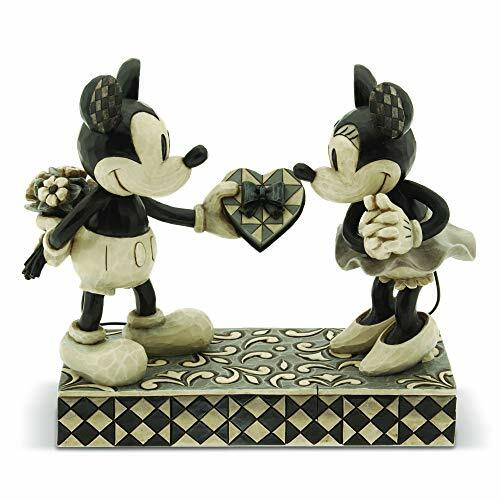 If you would like to give that special someone in your life a Mickey and Minnie themed Valentine's Day gifts,there are so many adorable "in love" items to choose from. Some of the items that display Mickey and Minnie's love and devotion are bedding sets, figurines, wallets, handbags, plaques, jewelry, iPhone cases, coffee mugs, apparel and home décor. 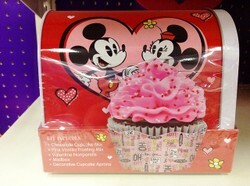 If you significant other is a big Disney fan, they will love to receive any of these sweet items on Valentine's Day. 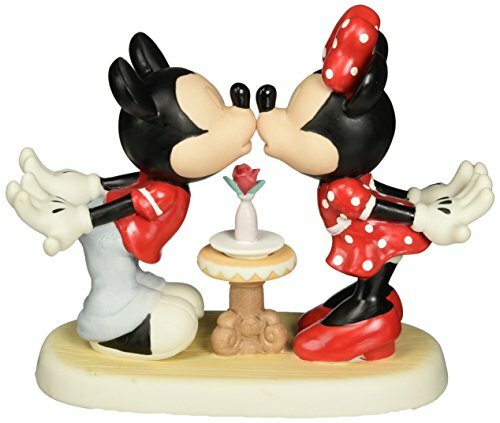 There is also a large selection of merchandise that feature Mickey and Minnie kissing. These items would also be perfect for your love. Are Mickey and Minnie Married? Or are they just good friends? Through all the years, Mickey and Minnie remained friends. They never married on screen. In 1933 Walt Disney wrote, "In private life, Mickey is married to Minnie." He later said Mickey and Minnie had to live "happily ever after" because in their land of make-believe there is never a marriage. However, the discussion of Mickey and Minnie's wedding has been fueled by the 1932 film Mickey's Nightmare in which Mickey falls asleep in the armchair instead of meeting Minnie at the local dance. Mickey dreams of being married to Minnie and is surrounded by numerous little Mickey mice. Then in 1935, a cover for for the sheet music "The Wedding Of Mister Mickey Mouse" shows a picture of a beaming Mickey, dressing in a tux, leading Minnie, dressed in a veil, from the church to the happy cheering of Horace Horsecollar and Clarabelle Cow. There is a large selection of wedding supplies available for your Mickey and Minnie theme wedding. Some of the wedding supplies include personalized invitations, reception cards, thank you cards, address labels, postage stamps, garter belt sets, cake knives, cake toppers, edible cake images, glasses/flutes, wedding album, guestbook, party supplies, party favors, car decorations and more. A perfect pair of characters with plenty of cute gifts! Well, it's about time they tied the knot, don't you think? Valentine's day tablecloths will dress up your kitchen or dining table perfectly for this romantic occasion in 2019. Round, vinyl, cloth, fabric, red and other colors available. When decorating your rv for Valentine's Day, why not let the love last all year long? You and your Valentine can decorate your camper with hearts and ambiance 365 days a year. Set a romantic table with these ever so adorable Valentine salt and pepper shakers.